This post contains affiliate links. All opinions are my own and I only post about courses that I use and love. Music is an authentic, natural way to get to know a country’s language and culture especially the music related to national holidays and special celebrations that occur throughout the year. Music is the easiest way language learners can make a connection or association with a country’s language and culture. This is why in our bilingual homeschool, we make the study of music such an essential element to discover new cultures and languages. Becoming aware of the world around us, helps broaden our perspectives and see there is a whole world out there created by God. 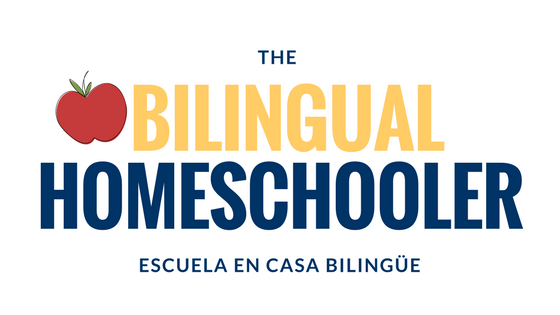 Today, I am sharing about a brand new course released by Gena Mayo that we will be using in our bilingual homeschool that will benefit English Language Learners (ELL), as well as Americans who live outside the US, and even Americans who live in the US. This course is for anyone who wants to learn about American Holidays and Special Dates. English Language Learners – This course provides authentic materials, already laid out for the teacher or homeschooling parent. It teaches the special dates that are celebrated in the United States, along with music and culture that is associated to it. As an ESL teacher, this course will save me hours of research!!! American Students – There are brief descriptions, biographies, and information presented along with videos and activities to further enhanced the study of American holidays. Bilingual Homeschool – The bilingual homeschool is constantly looking for ways to learn about the culture related to the languages we are learning to speak. Music is a unifying component in the study of language, culture, and tradition. Language Learners and those who already speak the language as a first or second language will benefit greatly from this course. What I love about teaching music is natural way to pass-on tradition and teach culture. The course comes with quizzes that we can do together, it also encourages learners to do more research if desired. Learners can also make observations on the differences of style and instrument used to approach a holiday or special occassion. Using short videos and reading the biographies could be used in an ESL classroom or a bilingual homeschool where English is the second language to teach relevant and authentic aspects of the culture. Why study music about another country while learning a language? Basically, it broadens one’s worldview and helps you appreciate culture and traditions from your own home country and others around the world. Babies and toddlers begin learning language or many languages through music long before learning to talk or read. Preschoolers and school age kids begin associating music to holidays from a very young age. For example, Christmas music is played from November or December as Christmas comes closer. Or Irish music is played in March as we near St. Patrick’s Day. Understanding the culture, the music, the language used in the country’s target language helps deepen the level of proficiency in that second language. The course includes videos, activities, quizzes, and everything I need to pull a music lesson that is relevant to teach my kids about America through music. The course is self-paced, online, all at the ease of a click! How to learn the culture of another country while learning the language? Dress in colors/clothes related to the holiday. For example: red and green for Christmas, green for St. Patrick’s Day, red for Valentine’s Day, yellow for New Year’s, blue and red for 4th of July. Practice activities or traditions per the holiday: cookout (hamburgers and hot dogs) for Labor Day, Memorial Day, and Fourth of July, Thanksgiving Dinner with turkey for Thanksgiving, ham for Christmas. Right now the course is 40% off through March 28th, 2018. After that the price will be going up. Today we are going to start the section on Easter since we are getting so close to it, coming up on April 1st this year. What kind of special dates does it include? In the United States, May 4th is a big day because it is Star Wars Day. It comes from May the Force be with you. It is just a fun day, but honestly language learners would appreciate knowing about this day when coming to live in the United States. Same thing with April Fool’s Day. Will this course help English Language Learners? Yes!!!! I personally didn’t know about April Fool’s Day, it wasn’t taught in textbooks or language school. I learned about it from living here. So as you can see culture is an aspect of language learning that is best taught and learned from authentic materials. Hope you find the course as helpful as I have! 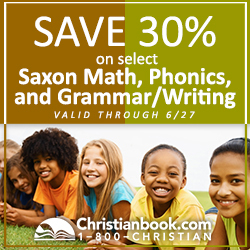 Let me know in the comments how you are using it with your homeschool or ESL classroom. Love others because God first loved you. Love is the greatest commandment of all. Love begins at home. We want our children to know they are loved and what better way than telling them in writing so they can read notes from us in years to come? 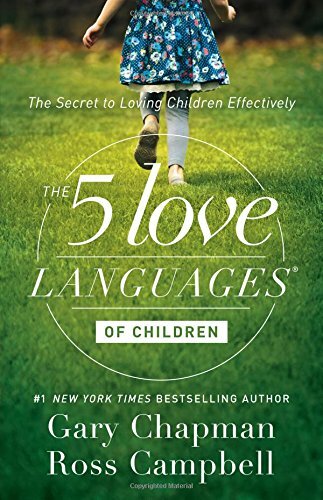 Several years ago I read this Five Love Languages for Kids by Gary Chapman. At the time, I learned there are different types of ways that speak love to our children. Sometimes it can be the same language for all of them, other times it can be a different language for each of the kids, and other times children change love languages in the same year. It all has to do with their personality and how they grow. I could not recommend this book more. I hope you enjoy it and get much out of it! All you have to do is print it out and fill it out. I suggest placing one or two hearts each day from February 1st through February 14th, Valentine’s Day. Or you could even start today. You can use the same one as many times as you would like. I made it in Spanish because that’s the language I speak to my children the most. If you would like it in English, let me know and I can add it to this post for you. If you would like me to email you the file, please leave your email below or send me an email at bilingualmami at gmail dot com and I will send it to you. Hope you enjoy it. Let me know in the comments!!!! If you find it useful, please share this post with your friends so they can download it, too. Today I joined a group of Spanish speaking moms who discussed with sadness in their tone how difficult it is to get the children to speak Spanish even at home in an English speaking country. During our time, it was agreed that children don’t want to speak Spanish, even when they know the language. Living in different parts of the country, I have experienced this, too. Many of my bilingual friends across the country have experienced this as well. There is nothing more gratifying than passing on our heritage language or our native language to our children. The gift of language is the gift of a lifetime. There is no return policy on it. First of all, we live in an area where everything is in English. Schools, friends get-togethers, story time, books…everything is English. It is our nature to produce (output) the language we hear (input) the most. There it is natural for our brain to produce what is more used to. Therefore, why should the child speak Spanish? There needs to be a clear need to use the target language, Spanish in this case. That’s right. There needs to be a real need as to why speak in Spanish (or the minority language). Participate in a Spanish Story Time program at the library. Check with your library if they have story time in your target language where there is a read-aloud, some songs, and a craft. Take advantage of technology and call family that only speak Spanish. Use your Saturday afternoon to call family and use your webcam. This is a great time for sharing stories, recipes you have cooked this week, tell a joke or two! Show your pets, etc. Use this time to talk with family in Spanish. Maybe they have never met in person, but thanks to technology, they get to see each other through the webcam. If you have toddlers learning to talk, have a playgroup where moms and children participate together using Spanish. 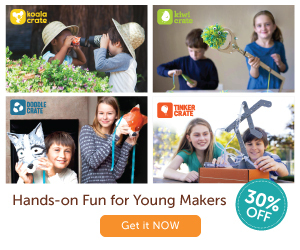 This is a great time to teach and learn to speak Spanish in an authentic way through play. Pretend to be doctors, cooks, and play in Spanish. So much language can be learned through play!!! If you are homeschooling, do memory work in Spanish. Every week we work on memorizing a new Bible verse and sometimes a poem, in addition to Spanish songs we learn every month. Instead of memorizing in English, which they probably will one way or another, use this time to learn them in Spanish. It will build their confidence! You can also write out the verse, talk about the meaning and vocabulary in Spanish. Much will be learned by memorizing a short verse. Find a local church in Spanish where children could attend Sunday School in the target language. Participating in a Spanish speaking environment with other teachers and children could be very beneficial. It would show them that there are many others out there who also speak Spanish. 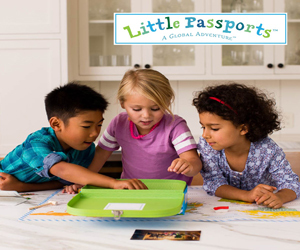 They could see the same activities they do at home or in school can be done in Spanish. If you have older children, have them do peer tutoring. Think of foreign students just arriving to the US who need help learning English. They may need a lot of help studying math or science when their vocabulary is limited. Have your child help them in their native language to become more comfortable with school work. There are many advantages of learning subjects in the native language even while learning a second language. What ideas do you have to create a need for children to speak in Spanish? As we raise our bilingual children, I have started to make note of the books we read and the things we have done along the way to help teach them Spanish as naturally as possible. One of these has been reading to them from a very young age, the womb. We read books in Spanish, bilingual books, or books in Spanish. The following books are all very special with the goal of sharing sweet little stories to create a connection with the Spanish language. I hope you enjoy this list just as much as we have. 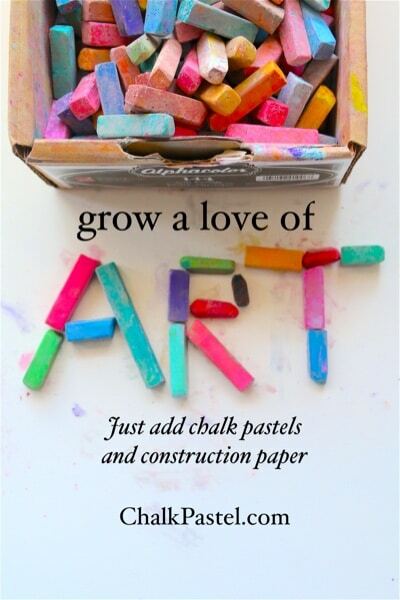 As the kids grow, these will become little treasures that will remind you of those times when your kids were so very little and were just beginning to learn the language. This post contains affiliate links. Thanks for your support for Bilingual Mami, the Bilingual Homeschooler. You are my I Love You – Tú eres mi yo te quiero Easily readable English and Spanish side-by-side text. Besos for Baby – A Little Book of Kisses: Uses simple Spanish words to teach the Spanish language through love. I like it When…-Me gusta cuando: Great for teaching how to say I like this, I like that and using examples to explain why. This Little Piggy – Este Cochinito: This is a classic nursery rhyme in both English and Spanish. Pio – Peep! : A collection of traditional nursery rhymes. *Must* have, start reading nursery rhymes in Spanish from an early age to build literacy skills in Spanish. Siempre te querré: An absolute favorite in Spanish. We LOVE this book, my children prefer it in Spanish. Te amo, te abrazo, leo contigo – I Love You, Hug You, Read to You: The three things the reader promises to do. Huggy, Kissy – Abrazos y besitos: So cute!!! Your child will love this one! What books do you like to read in Spanish with your younger ones? Cuéntame, tell me in the comments below! Being bilingual has lots of perks like being able to know more than one way to say something. However, there are certain filler words or muletillas that I just hold on to a little more tight than others just because they are part of my culture. A lot of times I catch myself wanting to throw them into the conversation, intentionally or not, mainly because they are just part of the way I talk and part of who I am based on the fact that my first language is Spanish and that I lived in Chile for part of my life. Although at times I can get away with it, like when I speak with other bilingual friends from Chile or when I say them around some of my monolingual friends who have been around me for so long that they know the meaning of some of these words and phrases by now. Por si acaso (just in case) you are reading this blog, kudos to you! Bueno (Well) I really like to say these words (muletillas or filler words) because they add more meaning (or sabor – flavor) to the conversation. In my opinion, these words add spice to the conversation. Perhaps it has something to do with the intonation used when saying them. Here is my list, I am really curious to hear what Spanish fillers or slang you really want to say when speaking in English. Let me know in the comments. no cierto? Literally, it means “isn’t it true?” I use this phrase a lot, usually to imply agreement. For example, it was such a nice day at the beach and the water was just perfect! no cierto? In English, I just say “right?” in place of no cierto? si po – The poh is traditional of Chilean Spanish, so as far as I know it is only used there. If you are traveling to Chile and want to sound fluent, jump on the wagon and say ‘poh’ at the end of your sentences. “Si po” means ‘yeah’ like a Chilean. o sea – Literally, it means “that is”. I think this is one of those convenient words that I like to say, because I can just say one word to mean “that is”. O sea is used as a way to clarify a precedent idea or rephrase a sentence. For example, they are coming on Thursday, osea in two days. What words do you want to say in Spanish when you speak English? What advice do you have for when you want to say them and can’t? What other words would you add to this list? Nos vemos See you soon! This post contains affiliate links. These are items available through Amazon or other vendors. Commissions are earned when purchasing a product at no additional cost to you. Thank you for your support! When we brought our first bundle of joy home, my natural mami instinct was to sing nursery rhymes to my baby. I remember learning these songs from a young age, next to my Mamá and my Abuelita. These songs brought many smiles to our faces when we would take turns singing them or when we would sing them along a tape I used to have. Throughout the years I have been teaching these nursery rhymes to my children to expose them to Spanish. Below you can find 4 benefits that I believe have helped them learn Spanish through music. Music is catchy! – It is easy to learn a new language when we can learn to say new words and sentences in a quickly manner. It builds confidence! We want our children to build confidence with their language skills and this is exactly what nursery rhymes do. Due to the catchy tunes, we often catch our children repeating the same songs which in turn helps them build language skills. Benefits the Brain – Many of these songs contain repetitive lines which helps to teach how language works in our brains. It helps make the connection of how words are put together to form sentences with agreeing verbal tenses and articles. In other words, it helps to teach grammar in a natural way. Shares tradition – In this case, it is all about passing language and sharing cultural traditions. In other words, these nursery rhymes were sung by me, my mama, grandmother, and great-grandmother. These songs are passed from one-generation to another. Usually before singing a nursery rhyme, I often share a story that goes along with the song. For example: “I remember one time my Abuelita was singing this song to me when I was little girl.” Or “my uncle always sang Arroz con Leche to me when we took a walk together.” These memories are associated to these songs which in turn creates an emotional bond to the language used in sharing the memory and the nursery rhyme. Social Activity – We like to sing nursery rhymes as a group and we like to do the motions together. There are times when I find my children taking the lead on singing a nursery rhyme like Las Manitos and teaching another child how to do the hand motions for it. In a separate post I will include the lyrics and a video/activity that will go along with each song to teach Spanish. Even if you don’t speak Spanish, you will find it very easy and catchy to learn these nursery rhymes along with your children. What is your favorite Spanish Nursery Rhyme? Share in the comments! Enjoy! Music is a great way to learn a new language!